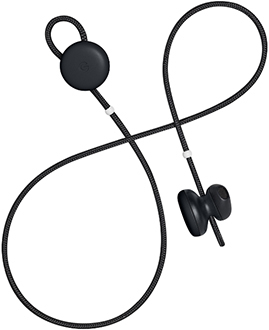 Experience real-time translation when you pair your Pixel Buds with your Google Pixel phone. They’re like having your own personal translator, everywhere you go. Just touch and hold the right earbud and tell the Google Assistant what language you need translated. It works with 40 different languages supported by Google Translate. 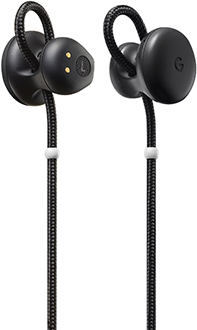 Enjoy high-quality audio with crystal clarity and booming bass, all in a compact, comfortable package. With no wires needed to connect them to your phone, you’re freed up to do anything. Listen to your favorite music, podcasts, videos and more – with wireless headphones that deliver stellar sound. Control your music, answer phone calls and adjust the volume with the touch of a finger. You don’t have to reach for your phone to listen to what you love. Quickly access the Google Assistant to get answers, control your music, send messages and more – using only your voice. Simply touch and hold the right earbud and your Google Assistant is ready to help.